I've really been feeling this outfit lately! (Yes, I'm totally an outfit repeater and I'm not ashamed of that.) 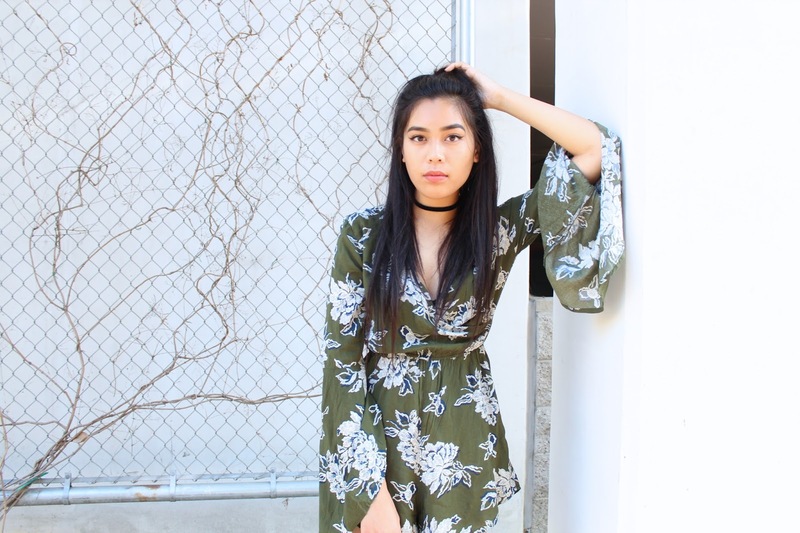 I love the girly vibe of the florals and the flow-y wide sleeves. But it also gives this gothic feel from the dark colors with of course the added choker necklace and lace-up booties. I adore this romper for a few reasons. For one, I could literally just throw this on and I instantly look like I put some kind of effort into looking cute. Who wouldn't love that tbh? Also, the sleeves! THE. FREAKING. SLEEVES. They're just so flow-y and weirdly fun, I freaking love it! 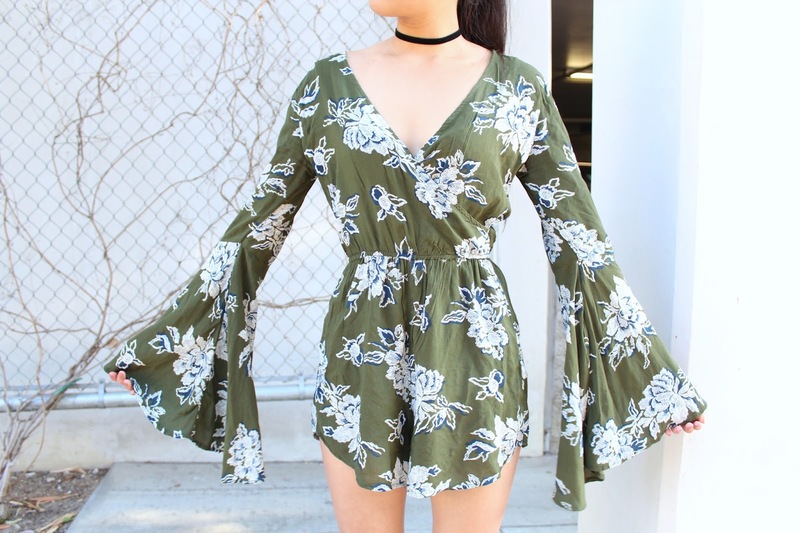 And this romper is also super lightweight. So this will definitely keep you cool during the summer. With this summer heat, having my super long hair down is just NOT an option for me! So I've been opting for a high ponytail! It's quite cute and chic in my opinion. Lace-ups booties are a must have! I snagged these from Forever 21. Comfort wise, they're actually not that bad. And by "not that bad", I mean, don't plan on walking in these for hours because they WILL hurt your feet and you WILL hate yourself. The first time I wore them all day, I came back home with cuts on the back of my ankles and tears in my eyes. (JK, only being slightly dramatic here.) But yes, you've been warned. I mean, beauty IS pain.. I guess?